For many years, mobile payments seemed to be stuck in limbo. While some industry observers had predicted that the technology would take off in a big way very soon, this simply did not happen. For a variety of reasons, mobile payment adoption and use has not achieved the level of adoption many expected. Finally, though, that's poised to change. Interest in mobile payments is growing fast, which means that any business eager to take advantage of this technology should act as soon as possible. By acting quickly, mobile payment-enabled companies may enjoy a major competitive advantage over their rivals. Just as importantly, waiting too long may hurt a firm's ability to attract new customers as mobile payment technology fully enters the mainstream. "More than 60% of respondents believed mobile payments would match cash and credit cards." The speed of mobile payments' accelerating popularity can be seen in a recent survey from Deloitte, published by The Wall Street Journal. This survey included insight from more than 2,500 executives and other business leaders, asking them if they believed mobile payments would eventually become as widely used as credit cards or cash. More than three-fifths said they were confident that mobile payments would reach this level of usage; 26 percent said they would increase in popularity but not reach this level; and only 3 percent thought that the technology was overhyped. At the same time, though, this survey found that only 16 percent of respondents were currently using some form of mobile payments within their business. A little more than 30 percent said they were interested in using mobile payments but didn't know how to go about doing so. More than one-third of participants indicated they didn't really know how to describe their interest. These numbers speak for themselves. Even many of the executives who are most enthusiastic and confident about mobile payments technology have not yet taken steps to deploy these solutions themselves. That both emphasizes the surprisingly slow pace of adoption throughout the retail sector and also highlights the potential benefits for those firms that can get ahead of this trend and provide mobile payment options to the customers in the near future. As more consumers learn about and become comfortable with mobile payment technology, the potential benefits of early adoption will become more prominent for companies of all sizes. There are a number of reasons why mobile payments seems to be on the verge of a tipping point today, after years of failing to gain traction. One leading factor, according to PYMNTS.com contributor Karen Webster, is the shift to EMV in the U.S. The point is simple: Chip cards require more time when it comes to making an in-store purchase. This may be only a matter of seconds per transaction, but that quickly adds up when someone is waiting in a long line at checkout. For those people irritated by excess waiting, a faster alterative is incredibly appealing. "The solution, many now say, is NFC," Webster asserted. "The tap is faster than the swipe." Additionally, Webster emphasized that mobile ordering is growing increasingly popular. Numerous major retailers, from Starbucks to Amazon Fresh and beyond, are eager to provide their customers with the option of ordering and paying for goods and services via their mobile devices. Mobile payments technology simplifies these processes, making mobile ordering more appealing for both the retailer and the consumer. Ultimately, though, the biggest reason why mobile payments is on the verge of experiencing broader adoption is that more success stories are appearing and gaining attention. Notably, Webster pointed to Cumberland Farms and its SmartPay mobile application. She reported that Cumberland Farms has already sold $1 billion worth of gas through this app in the past two years. 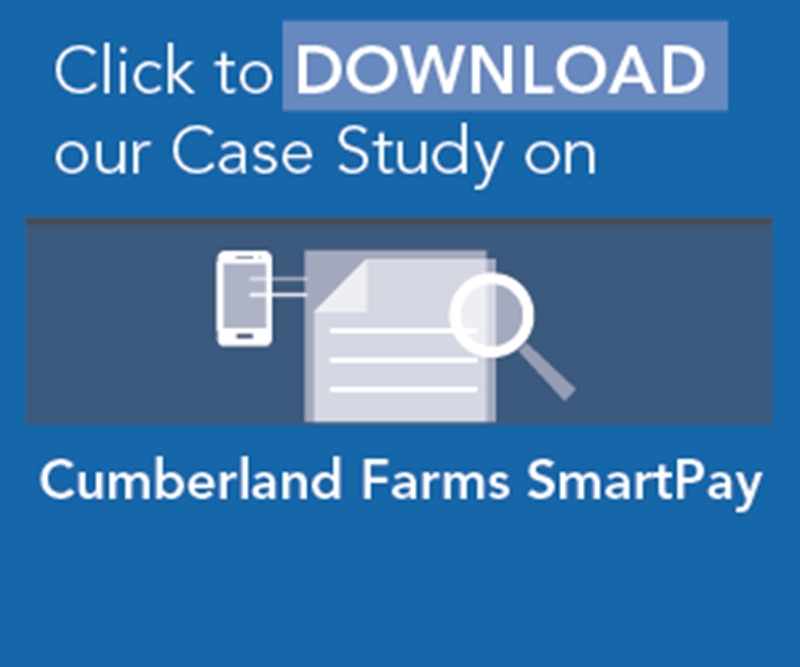 Cumberland Farms has also used SmartPay to reward 1.5 million free drinks to customers through an incentive program. Combined, this has a powerful impact. "[S]ince claiming their free drink had to push the consumer into the convenience store to get it, those same consumers also probably ended up buying something they didn't plan to buy while in there - donut, hot dog, candy bar, etc.," Webster wrote. "Incremental sales!" The right mobile payment strategy, along with the right mobile app, can have just as powerful an impact on a businesses in just about any market.